Looking for a gift idea for someone who is passionate about protecting the Ospreys? Or simply want to do your bit to help? 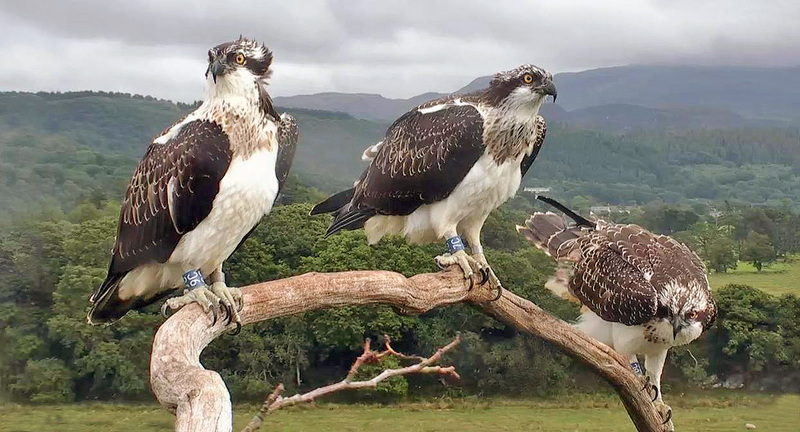 By adopting the Glaslyn Ospreys you will be helping us to provide the protection that these birds need. You can choose to adopt one of the adults, the pair of adults or the whole family. And with each adoption you will receive a pack of goodies as listed below as a thank you from us. Each adoption will last for a period of one year. A). If your adoption is a gift, please select ‘yes’ below, and specify the delivery address under ‘Special Instructions’ when checking out. B). Please specify email / postal address for subsequent newsletters according to your selection below. You must also provide this information in ‘Special Instructions’ when checking out. Please make cheques payable to “Bywyd Gwyllt Glaslyn Wildlife”. Please also specify if you’d like to receive your documentation in English or Welsh, and be sure to clearly state your preferred adoption choice and full address.